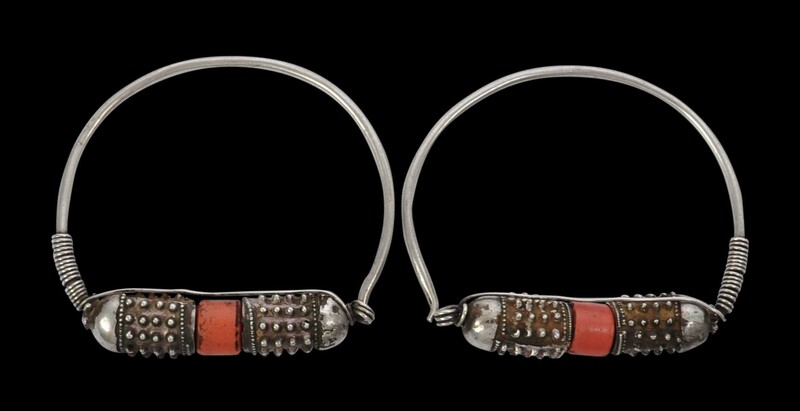 The precise form of this pair of Omani (and possibly Yemeni) earring is very unusual. 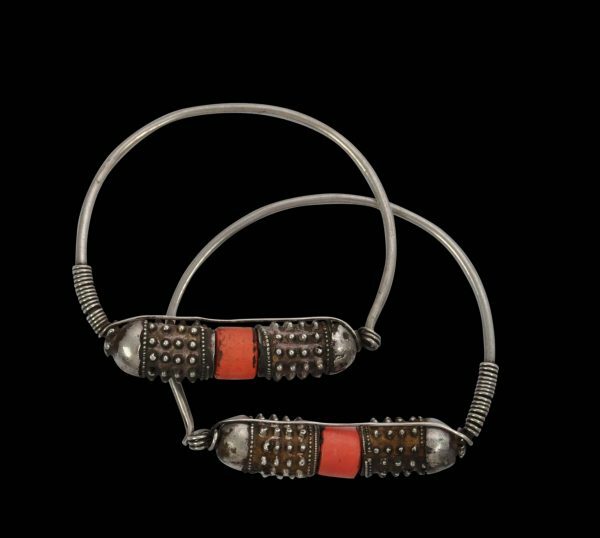 They comprise large, solid silver hoops and then at their base are spiky silver beads that are likely based on seed pods found in the desert and which evolved to stick to the fur of animals, along with central orange-red ceramic or glass tubular beads. The beads are likely to date to circa 1930, and themselves are unusual. They are pleasing and sculptural. 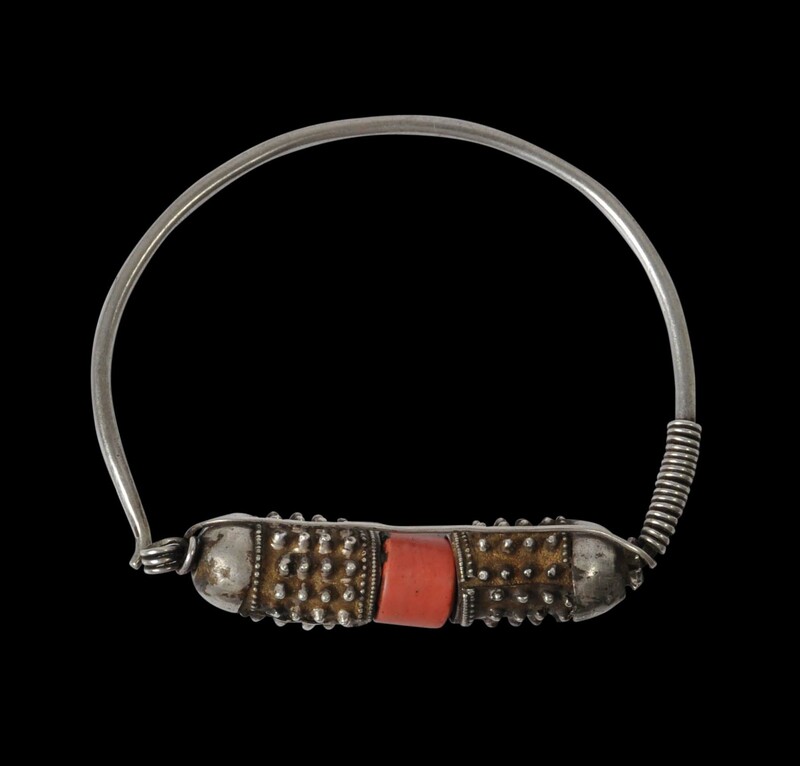 They also have a splendid patina from use, handling and age.